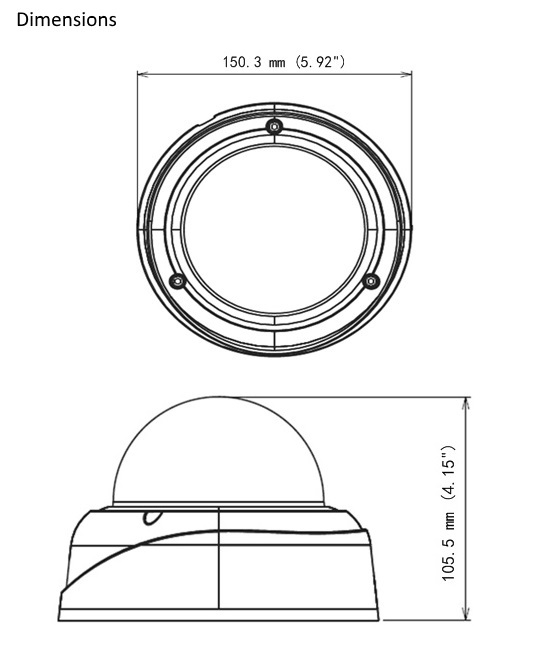 The Geovision GV-VD3700 is a 3MP vari focal 2.8mm~12mm dome camera with IR LEDs effective up to 30m. It is suitable for external applications with the use of IK10 vandal resistant housing and IP67 rated weatherproof housing. It is highly adjustable with pan (0° ~ 360°), tilt (90° ~ 180°) and rotate (0° ~ 355°) mechanisms. The GV-VD3700 supports two way audio and uses a range of image enhancers to improve security further: backlight compensation, wide dynamic range, defog, low lux enhancement and denoise. This camera also uses some smart features for further support such as tampering alarm, focus change and camera shift. There is also a built-in micro SD card slot and with the use of H.265 compression, bandwidth and storage concerns are greatly reduced. The GV-VD3700 can be powered by a power supply or by a PoE injector. Remote access is possible through the GV-Eye app or by a web browser.